As it is the month of love why not have a look at the different buddy teams of the underwater world. The best known buddy team is the diver buddy team. 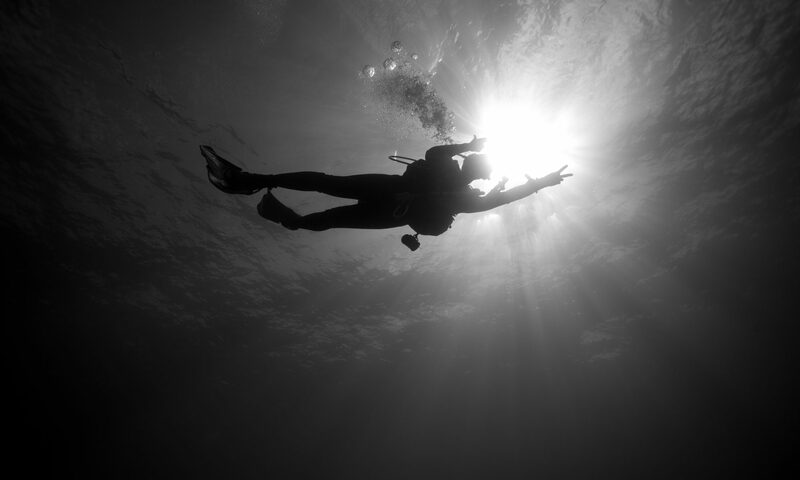 It is standard practice in scuba diving that you never dive alone. You must always have a buddy, just in case. Why? Well it is way more fun to dive with a friend. Secondly, in case something happens, like running out of air, it is great to have your buddy with you. Even when diving in larger groups, often buddy teams will be assigned so that you two look after each other. That is not the only buddy team we know. Like with humans, animals pick their buddies or partners. Some even for life! Seahorses mate for life. The main reason is probably because it is so hard to find a mate due to their lack of swimming skills. French angelfish are one of those pairs that tend to stick together. They help each other to defend their homes against other fish. Sharks, turtles, whales, rays,…bigger marine life tends to find itself with a “ride along”. Remoras, also know as “suckerfish” uses the larger animal to catch a ride, protection and even to sneak some scraps from their meals. On butterfly fish you can often see something sticking to the fishes cheek. This is an isopod. Isopods attach themselves through the fishes gills onto the tongue of the fish. I don’t know about you guys, but I think I will just stick to my dive buddy!